One of India’s most popular video streaming apps will now be owned by an Indian company. 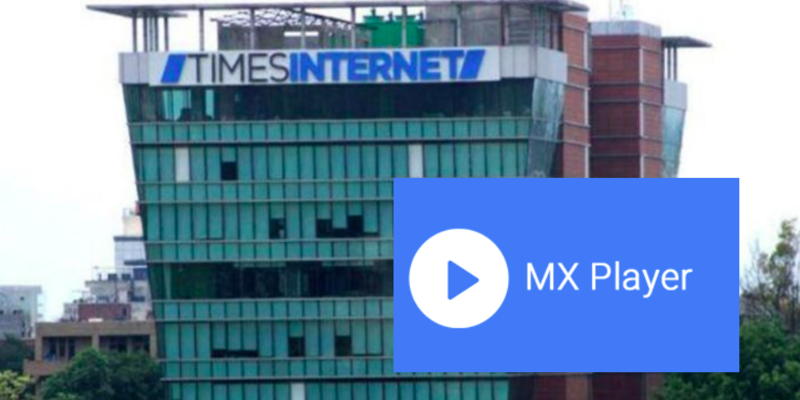 Times Internet, the digital arm of the Times Group, has acquired a majority stake in MX Player from South Korean publisher J2 Interactive for Rs. 1000 crore. Even though MX Player was Korean, it was hugely popular in India — MX Player had 350 million Indian users, and is among the top 10 most downloaded apps in the country. While MX Player has become one of the biggest acquisitions in the video space in India, it’s possible that its name won’t immediately ring a bell, even for many Indians — MX Player is popular mainly in Tier 2 and Tier 3 cities. It comes bundled free with low-end phones, and often serves as the primary video player for these phones, and can play videos from the phone’s memory. But Times Internet seems to have big plans for MX Player. Instead of running the service as a mere video player, Times Internet has said that it will use it to stream original content, much like Netflix and Amazon Prime. Times Internet will reportedly launch 20 original new shows and more 50,000 content pieces across multiple local languages in India during the first year after the acquisition. This will pit MX Player squarely against other streaming services in the country, including Netflix, Amazon Prime, Hotstar, Voot and others. But what makes this acquisition different is that the audience that uses MX Player is markedly different from the audiences that other services have managed to court. MX Player’s chief audience base is from Tier 2 and Tier 3 cities, which doesn’t seem to be a priority for other streaming services — Netflix, for instance, costs around Rs. 600 a month, and this could be prohibitively expensive for users in smaller towns and villages. Also, the original content on services like Netflix and Amazon Prime caters primarily to an urban demographic. And that makes Times Internet’s latest acquisition even more interesting — through it, it now has a ready channel of users to funnel new content to. Times Internet is already India’s biggest content machine — it not only runs the Times Group of newspapers, including Times of India, Economic Times, and city-specific Mirror editions, but also sites such as Indiatimes, MensXP, iDiva and Speaking Tree. It also runs classified portals like Magic Bricks and Times Jobs, and also vertical specific sites including Cricbuzz and Willow.tv. And the recent trends have shown that there’s an untapped content market in India’s Tier 2 and Tier 3 towns. ShareChat, for instance, isn’t even available in English, but has millions of users across the Indian hinterland. And the Times Group has now zeroed in on this audience to provide them with video content. Monetization, as always, will be challenging — the average income in this demographic is much lower than in the cities, which means that subscriptions will likely have to be cheaper than those for Netflix and the like. But MX Player has the advantage in numbers, and if Times Group can convert even a small fraction of its 175 million users into loyal customers, it might have a pretty serious business on its hands.